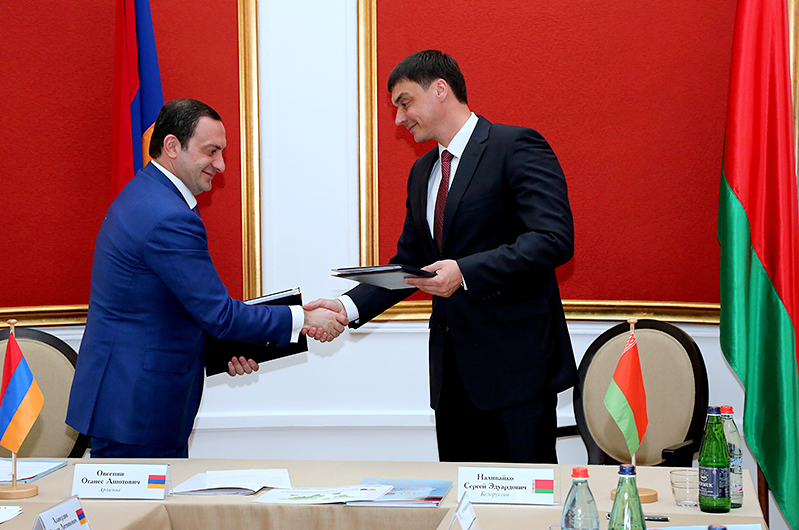 On May 19, the RA SRC Chairman Hovhannes Hovsepyan received the Minister of Taxes and Levies of Belarus Sergei Nalivaiko, who was on an official visit in Armenia. The SRC Chairman stated that one of key factors for enhancement and promotion of Armenian-Belarus economic ties is establishment of a reliable legal basis. “Agreement on excluding double taxation of incomes and property, and prevention of tax avoidance”, being effective between the two countries since 2002, establishes cooperation between the tax authorities of the countries, including, inter alia, that in tax information exchange. The SRC Chairman gave priority to updating the Agreement and making clarifications in it to reflect the recent amendments made in the tax legislation and tax administration in two countries. To that end, on May 19 the Chairman of the RA State Revenue Committee Hovhannes Hovsepyan and the Minister of Taxes and Levies of Belarus Sergei Nalivaiko signed Protocol on making amendments and supplements to “Agreement on excluding double taxation of incomes and property, and prevention of tax avoidance between the RA and the RB”, dated as of July 19, 2000, to bring the provisions of Agreement in line with the current developments and to regulate practical issues. Thus, an opportunity will be created to improve the taxation procedure for the Armenian and Belarus residents that will enhance the cooperation between the competent bodies of the two countries. Mr. Hovsepyan stated that in the near future the two authorities would expand tax information exchange and apply automated information flow systems in line with the international standards. 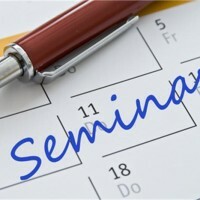 As per Mr. Hovsepyan, the changes will promote data exchange on tax base between the governments of Armenia and Belarus. 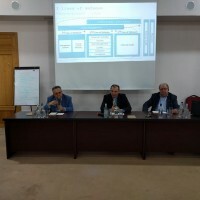 From his perspective, the meeting was another stage in terms of deepening the interaction between two tax authorities, which would promote and strengthen the ties between Armenia and Belarus in the tax sector. According to Mr. Nalivaiko, the Protocol will make it possible to more clearly regulate the activity between the tax services of two countries, thus, ensuring fair competition between good faith taxpayers.